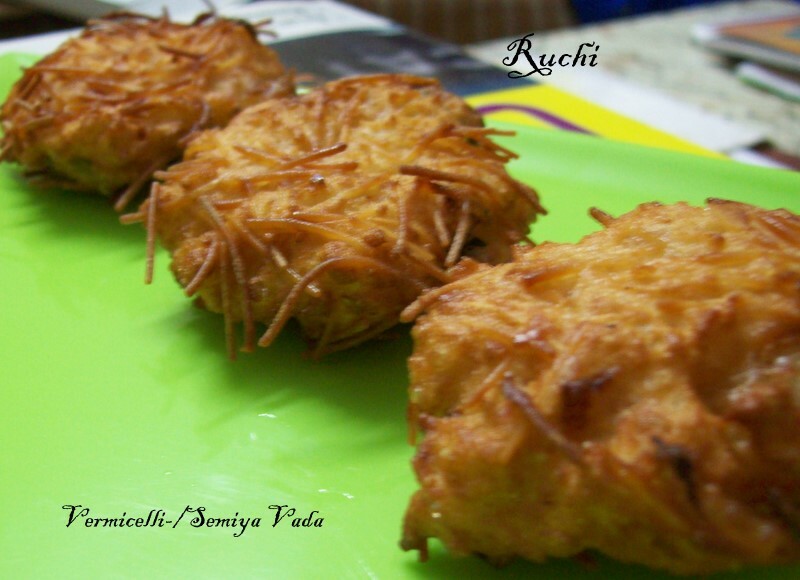 Vermicelli /Semiya Vada is a delicious spicy snack coated with flour and mixed with spices and chopped chillies before getting deep fried in hot oil. Serve the crispy hot Vermicelli vada with coconut chutney or tomato sauce as evening time snack. In yogurt add cooked vermicelli in a bowl and add ginger ,green chilies, onion and Mix with all other ingredients. Yoghurt is enough to make a dough, if not add little bit water. 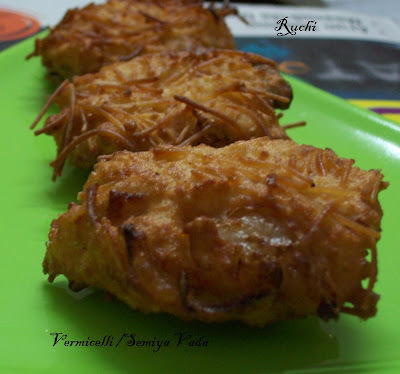 Press in your palm to flatten it & Fry these vadas till golden brown and crispy. Serve hot with any kind of chutneys or Tomato ketchup. A new dish...looks yumm. Great evening snack. Super crispy vadas,feel like munching.